Products are designed for specific applications and manufactured and tested to customer specified requirements. 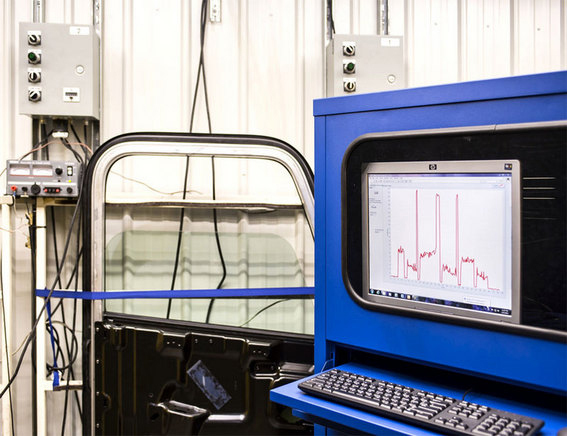 Testing parameters may include such functions as life-cycle testing, cold and hot testing, door-slam testing, vibration testing, environmental and corrosive testing. Additionally Muncy performs side-by-side testing of competitor products with our in-house proprietary design. We’re here to help. Whether that means custom designing a new part, retrofitting or reverse engineering an old one, or strictly manufacturing, we will provide you with the utmost care in the making of your OEM window regulator assemblies, hardware, door modules, and door assemblies. Our team moves through a dedicated process to approve each part and ensure it matches the quality for which we strive.